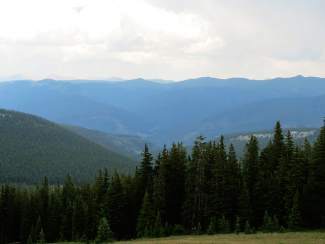 Susie Kincade will be leading a free hike for the public up in the No Name area of Rep. Jared Polis' Continental Divide Wilderness Recreation Act. This area has 360 degree views of the Gore, Holy Cross, Tenmile, Sangre de Cristo ranges and is a beautiful hike mostly above treeline. We ascend Homestake Peak, weather permitting. We will meet at 7:30 a.m. at the junction of U.S. Highway 24 and FR 705, about five miles south of Red Cliff.